Upon meeting Casimir Catholic College teacher Mrs Vanessa Penitani, it is easy to come away inspired by her remarkable faith, courage and zeal for the Lasallian mission. A graduate of the Marrickville college herself in 2005, Mrs Penitani believes it was the overwhelming support she received from the school community when battling a potentially fatal illness in Year 11 and 12 that inspired her to contribute back later on as a teacher there. "I was diagnosed with thyroid cancer and had to undergo a lot of treatment through my senior years at Casimir College and I'll never forget the tremendous support I received at the school", Mrs Penitani explained. "Merv McCormack was the Principal at the time and he made sure that before I underwent any surgery, I received a whole school blessing and there were constant phone calls to my mother to make sure I was okay and flowers delivered to our home as well". Mrs Penitani drew heavily upon her Catholic faith through what would have been a challenging time for anyone, let own a senior student about to embark on their HSC. 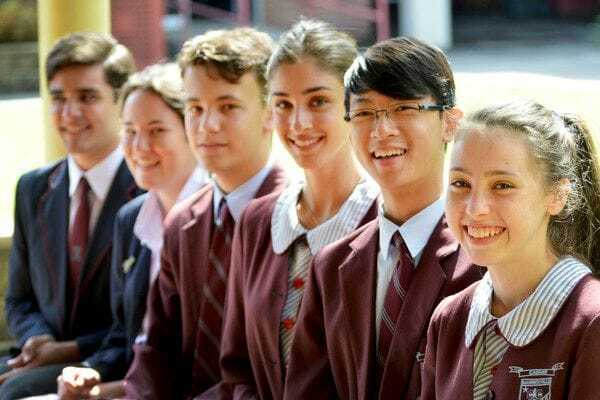 Her fellow students and staff members were inspired by her unfailing positive attitude and remarkable resilience, leading to her appointment as College Captain in Year 12. Now over ten years later, Mrs Penitani is Year 9 Coordinator, Lasallian Facilitator and Youth Ministry Coordinator at her old school, combining a busy teaching load across her two subject areas of Religious Education and Physical Education. "What I love the most here at Casimir College is the great sense of community that makes a Catholic school feel a lot more like a family where no-one is judged, but everyone is nurtured and supported along whatever path they want to take in life", she added. "And the beauty of the Lasallian charism is the way it supports students well beyond their school years through programs like Share the Mission and Young Lasallian leadership events". Mrs Penitani has drawn heavily upon that Lasallian tradition of service as an Ambassador in the Cancer Council's Relay for Life program. "I chose very consciously to turn my own experiences with the illness into something positive and community-focused", she explained. The energetic young teacher has participated in the Shellharbour Relay for Life for the past three years, which involves a 24 hour long walk to raise vital funds for cancer research. "This year, I was quite honoured when the organisers made me an Ambassador for the program, alongside a farmer from Wollongong who was another cancer survivor and it was a great opportunity to share my journey with others and in that sense to act as a beacon of hope for those who are still fighting the illness". Vanessa Penitani recently led a group of Casimir College students on a World Youth Day pilgrimage to Poland, an experience she would strongly recommend to other teachers in Catholic schools. "You gain a tremendous satisfaction from seeing the students grow on their spiritual journey and alongside that, as a teacher, the experience can be spiritually enriching for you as well", she said. Upon returning to Sydney, Mrs Penitani was among a prestigious group of teachers recognised through the Catholic Education Office with a proficiency award for the high calibre of her work. Her attention has now turned towards possibly pursuing a Masters degree in Religious Education and taking up more senior executive roles in Lasallian schools. "I have such fond memories from the work of the De La Salle Brothers including former Principals here like Br Colin Griffin and Br Paul Rigney who would know every student and teacher's name and would be there to offer them support or just a friendly chat over lunch or recess", she added. "I love that tradition so deeply now that I would also love to send my own children to a Lasallian school, just as I benefited from it and my mother also did as a student at Casimir College".